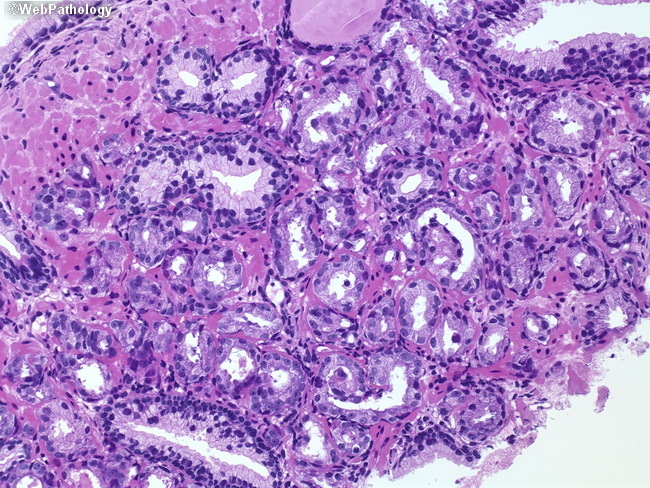 Repeat biopsy performed 3 months later showed an easily diagnosable focus of cancer (shown here). Same case as previous two images. We recommend repeat biopsy within three months of an atypical diagnosis. The repeat biopsy should sample the entire prostate, with extra cores being taken from the site of initial atypical diagnosis and adjacent areas.